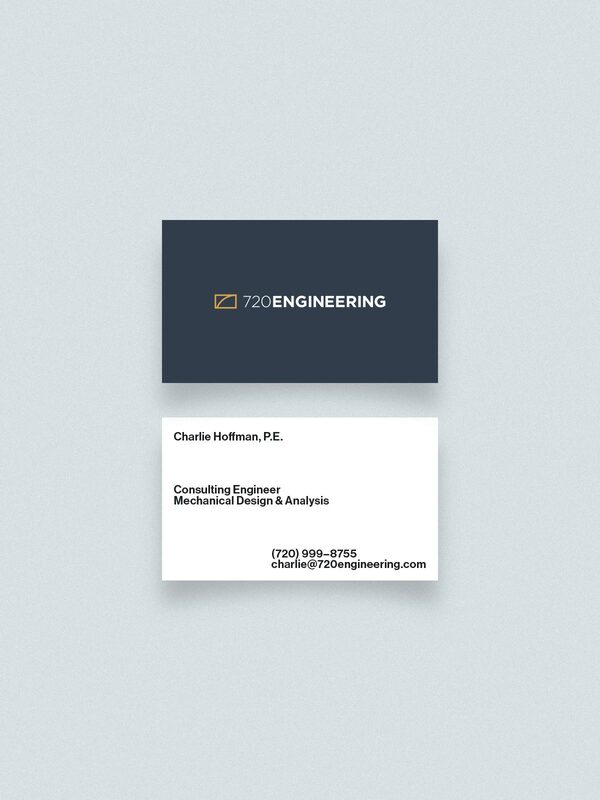 720 Engineering is a identity created for a free-lance aerospace engineer. After retiring from working 30 years in the industry, he just couldn’t stay away from the work. The design is supposed to be both minimal and symbolic. When engineering a product, everything that isn’t essential to the product must go. Just like engineering, I wanted the logo to be stripped down to it’s bare essentials. The arch in the logo is symbolic of aerospace, mathematics, and the cosmos. The rectangle crops the arch as if you we’re in a space station looking back on earth. The arch also serves as a seven cleverly hidden in the mark. The logo is constructed entirely out of the golden section. The reason for this was also to relate back to the cosmos and nature, bringing it full circle back to aerospace engineering.